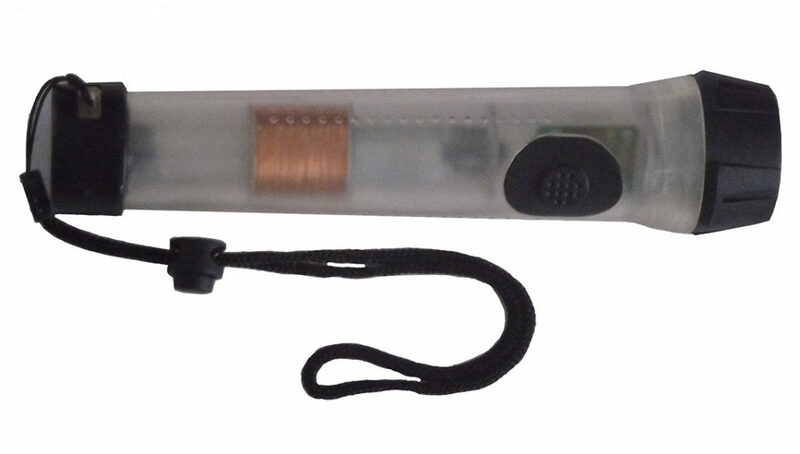 Flat batteries can be a constant source of worry for the flashlight owner. 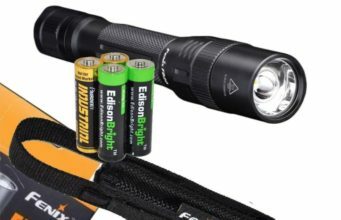 Whether you’re a heavy user or just need a flashlight occasionally, whether you go for rechargeable batteries or disposables, there’s alway a slight sense of anxiety around whether you’ve got enough juice in the tank when you go to turn on your flashlight. 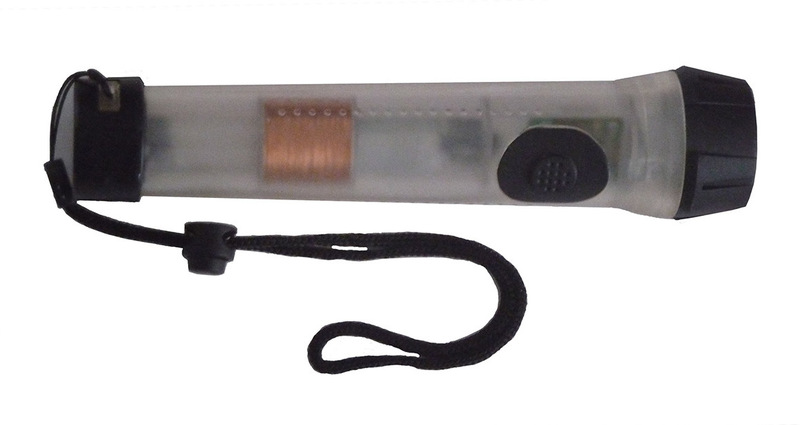 A Faraday flashlight might be the answer you’re looking for. One solution to battery anxiety is simply to use a flashlight that uses human power to make it work. The most popular models are hand-cranked flashlights, but they’re not the only option. Another example of human-power can be found in Faraday flashlights. Also known as Shake flashlights, they’re based on linear induction technology, described in scientist Michael Faraday’s Law of Induction. In easy terms, a magnet passes to-and-fro through the center of a coil of copper wire when the flashlight is shaken. This generates an electrical current, which charges a capacity. This can then be released to power an LED. While Faraday flashlights are quite simple mechanically, with fewer moving parts than their hand-cranked alternatives, their use is quite limited. The output generated by vigorously shaking the light for 30 seconds or so will only be enough to provide about five minutes of light. And you can forget the kind of power outputs we’re accustomed to with tactical lights – here you’re more likely to get something in the 25-lumen range. Bright enough to be useful, but nothing to write home about. 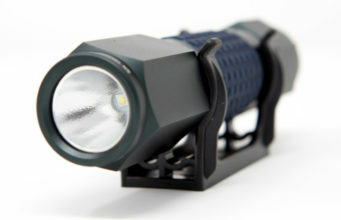 For this reason, Faraday flashlights are often thought of us emergency lights – something handy to keep long-term in a bug-out bag or tucked away in the basement, which doesn’t need to be checked for battery life on a regular basis. 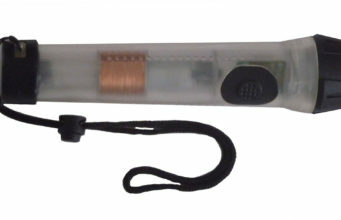 These flashlights are also popular as educational toys in that they illustrate the principles of induction. To facilitate this, you’ll often find that Faraday flashlights are transparent, so you can see the magnet moving through the coil. Unfortunately, there’s been a spate of counterfeit flashlights on sale in recent years, which aren’t true Faraday flashlights at all. These tend to have a fake coil and magnet, with the power being supplied by hidden batteries. Such lights will fail quickly as the batteries wear out, so it’s advisable to check the reviews of any products you might be thinking to buy. Ultimately, there’s a reason why Faraday flashlights aren’t all that popular as their uses are quite limited. But if you’re in the market for an easy-to-use flashlight that will be ready to shine whenever you need it, a Faraday light is certainly an option. 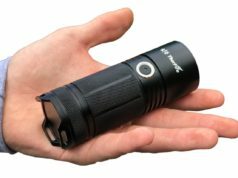 Handy for stashing in a drawer or a car glove box, the Shake Light 40 is a boon to those who want a light that will always be ready to shine – after a quick shake, that is. 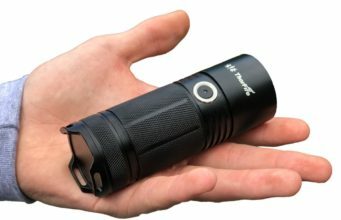 Rated at 25 lumens with a range of 75 feet and a beam diameter of 8 feet, the Shake Light 40 needs one minute of shaking to provide four minutes of light.